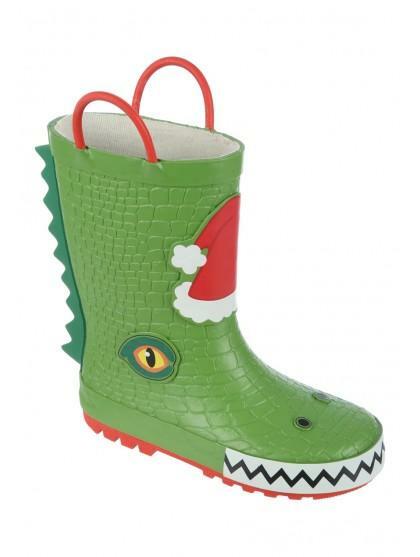 These wellies will make a fun addition to their footwear collection. 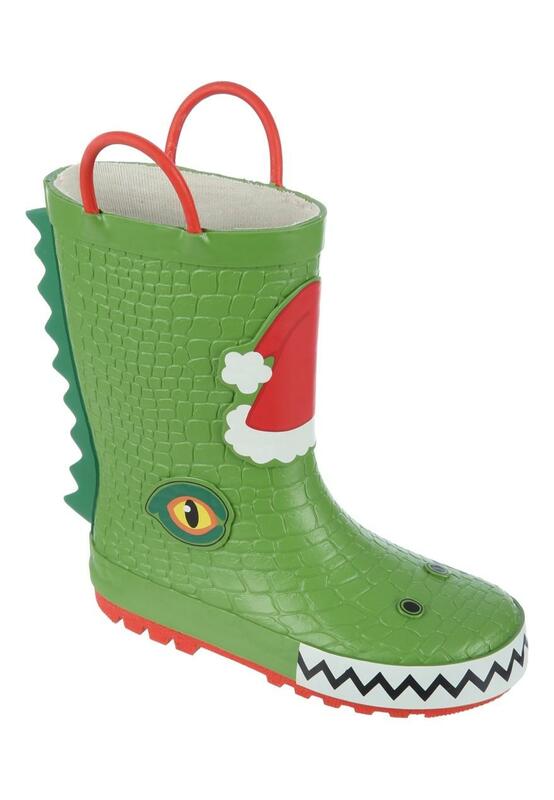 In a green Christmas dinosaur design with handles for ease of carrying, they're perfect for rainy days out. My 1 year old loves them! Perfect fit!